Admission $12.00 for all three days. 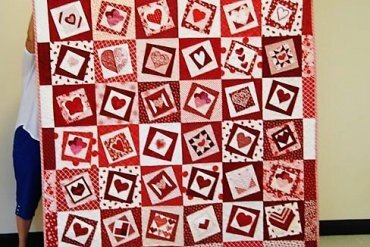 Come often and participate in our daily auction, Go Red for Women and the American Heart Association on Friday, February 2nd to win a basket of quilting goodies, enjoy the camaraderie of fellow quilters, buy at the vendors and Guild Boutique and just come and have FUN. The QUILTS will blow you away. One of the three Heart Quilts where all proceeds are donated to the Go Red for Women of the AHA. The auction will be fun with Jane Rowley. 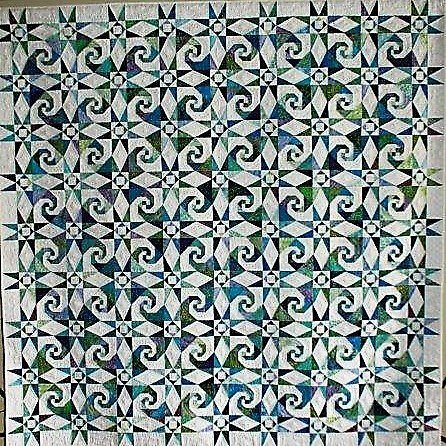 Raffle Quilt "Paradise Waves" Donation $1.00. You do not have to be present to win. Look at out website for more information www.pslcrazyquilters.com.